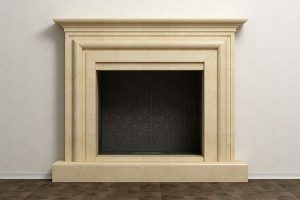 Home > Blog > Can I Have a Fireplace without a Chimney? It’s the perfect house. It has everything you’re looking for, checks all the boxes for your dream home—all except one: there’s no fireplace or chimney to be seen. However, you’ve heard talk about something called a ventless fireplace. Could you land your dream home with everything you want? Or are ventless fireplaces an accident waiting to happen? A regular fireplace suited with a traditional masonry chimney expels harmful byproducts and gases outside with the use of flue, thus eliminating the concern for carbon monoxide poisoning. 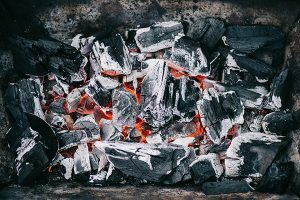 Although, if there’s ever a malfunction or something interfering with the flue, like debris, build-up, or animal nests, then there’s a risk of carbon monoxide, but having your chimney inspected regularly will prevent this. For a ventless fireplace, there’s no fresh air intake vent, so the fire must borrow the oxygen from the room to thrive. 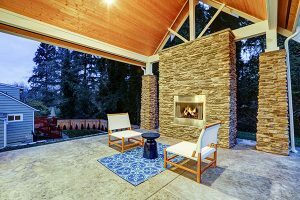 New ventless fireplaces are fitted with sensors to monitor whether the oxygen levels are too low, but this is something to think about before committing to this option. There’s also the fact that because there’s no vent for this style of fireplace, it ends up creating high levels of water vapor. When a homeowner hears the words “water vapor”, they know immediately that it can mean mold. 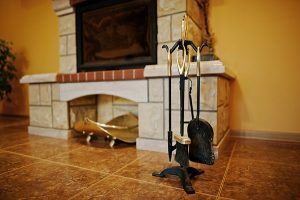 It seems as if a ventless fireplace has the odds stacked against it, but they’re the cleanest burning of all fireplaces, and if you’re a careful fireplace operator, attentive and watchful, this can be a great, inexpensive option. Also, note that ventless fireplaces are the warmest option of them all because all of the air is taken from and deposited back into the room. The ventless fireplace, without a chimney, will expel carbon monoxide into the living space, no matter how new the model is. Fortunately, they’re all tested, heavily regulated, and equipped with sensors. Direct vent fireplaces work by taking in the air for combustion from the outside and expelling harmful and toxic gases into the outside as well. 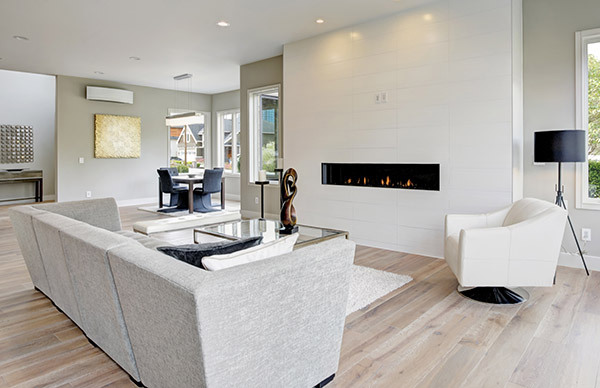 Unlike a ventless fireplace, a direct vent fireplace doesn’t need to take the oxygen or the heat from the living space, and while it still borrows air from the outside, it’s nearly as warm as the ventless style. With a direct vent fireplace, you can’t alter the logs and you’ll have a smaller flame, but with so many different styles this type of fireplace is available in, you might feel as if this is a good compromise. The direct vent fireplace relies on its sealed glass front in order to work. It works a bit like its cousin, the direct vent, only instead of pulling air and expelling air into the outside, the B vent or natural vent pulls air from the inside and deposits it outdoors for combustion. With the B vent, you won’t need a chimney, and the good news is that it’s relatively easy and inexpensive to install, compared to other styles of fireplaces. They’re also inexpensive to operate, another perk for a homeowner on a budget. With a B vent, you can enjoy realistic fireplace with large flames, but you’ll notice that there’s less heat with these than with a direct vent fireplace. These are a few things to weigh before choosing your fireplace style. After learning about direct vent and ventless fireplaces, the choice seems obvious, but remember that every home is unique, and you may end up having to consider options you normally wouldn’t. There could be a reason why a ventless fireplace is needed and a direct vent fireplace won’t work in a certain room or vice versa. The important thing to remember is that with any fireplace, whether it’s a direct vent, traditional, natural vent, or ventless, learning how to operate and care for it properly will ensure its safety, function, and the safety of you and everyone in your home. Conclusively, the answer is yes, you can indeed enjoy a fireplace without a chimney. There’s no need to discount those lovely homes you toured while shopping around for your dream home. With these different venting options, the opportunities are endless. In this day and age, you can have it all. AT Early Times, we have a high performance and durable ventless fireplace that can last you for many years. For over 30 years, we helped homeowners with chimney inspections, cleaning and fireplace needs. By choosing Early Times, you’re guaranteed to receive great service and great products. Speak to a specialist and get a free quote online today.